Happy Easter Monday! If you’re a little tired this Monday, don’t worry, we’re forgiving around here. As yesterday was both Easter Sunday and April Fools’ Day, you may be exhausted from spending your day playing both Easter Bunny and April Fool Prankster. It’s possible that in the interest of saving time, your Easter Bunny was a bit of a prankster. An Easter Basket full of canned veggies and math worksheets? Hiding plastic eggs full of dental floss and toothpaste instead of candy? Whoopie cushions on the Easter brunch benches? The possibilities were endless for an Easter Bunny prankster. I suppose (since we’re all adults here) one could just “not have the Easter Bunny show up” and call that their April Fools’ Day prank, but that seems a little mean-spirited to me. Personally, I’m not one for pranks. I’ve never played one on anyone, much less my kids on Easter Sunday! It seems like it’s not exactly the reason for the season. 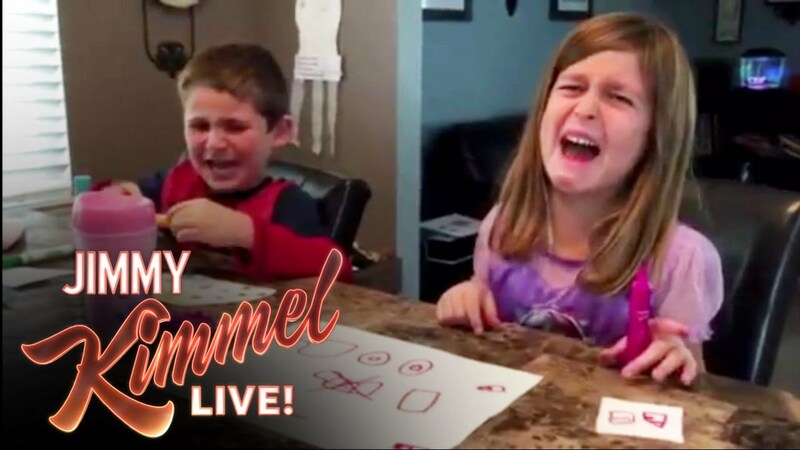 Late night host Jimmy Kimmel has become notorious for his video compilations featuring the best of parents pranking their kids by claiming to eat all of their Halloween candy. While they are funny (see below), this article by child psychiatrist Meg van Achterberg suggests that the effects of these pranks might not be worth the laugh. Of course, the kids get their candy back, and Dr. van Achterberg doesn’t claim that this behavior is abusive, but she does make an excellent point. When kids are really little, their relationship with their parents is based solely on trust, and a betrayal of that trust can be more damaging for the little ones than any parent intends. 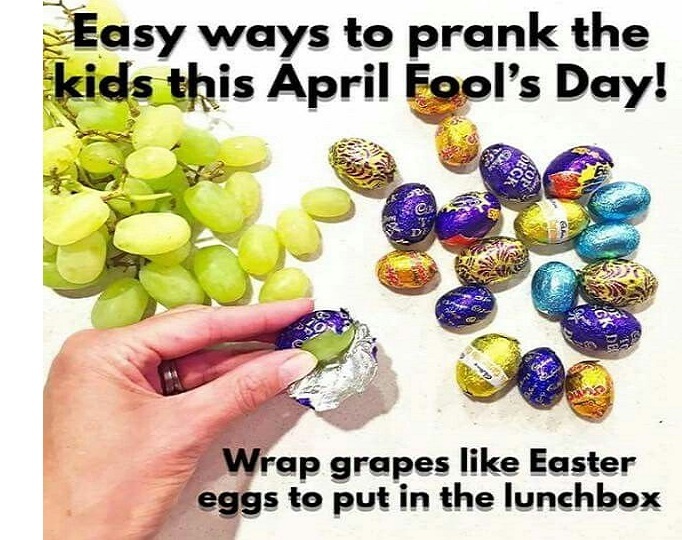 If your kids are too wise for the Easter bunny or Santa Claus, consider returning the magic of disbelief to their April Fools’ Day next year with one of these fun, harmless parent pranks.